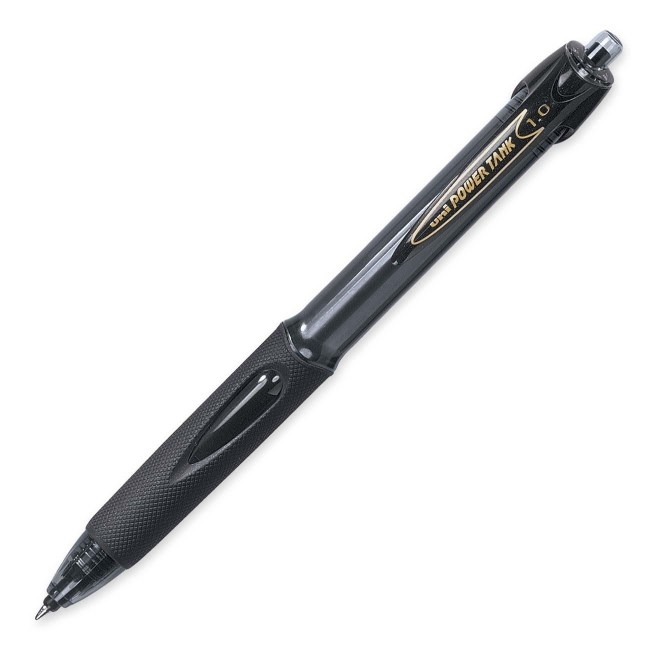 Power Tank Retractable Pen offers a pressurized ballpoint for extreme writing performance. Use it to write on wet surfaces, in extreme cold, at odd angles, even upside down. Uni Super Ink helps prevent check and document fraud. Textured grip offers great writing comfort. Refillable.